Five reasons to be at MAPEX2016… TODAY! In good times and in bad, there are a set of necessities that mankind simply cannot do without: food, water and shelter. The economy might have turned sour over the last year or so, but that does not mean Malaysians have discontinued the pursuit to put a roof over their heads. This ambition, however, is becoming ever more difficult in a climate that is not friendly to mortgage loan seekers and low- to mid-income earners. Indeed, good opportunities are still there for the taking, but often a tremendous effort is required to source the best potential options. 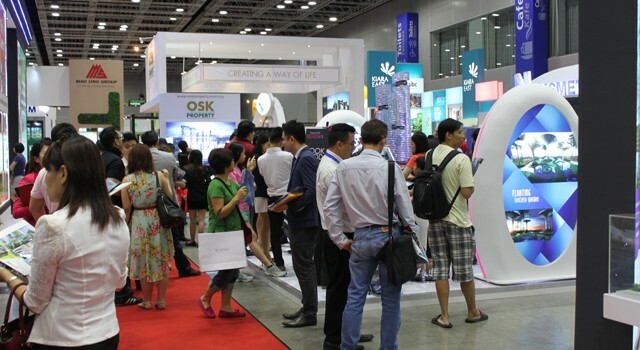 That is why the Malaysian Property Expo (MAPEX) has always made it its mission to amass the largest number of options under one roof, so that buyers choose from a vast array of choices at a single event. 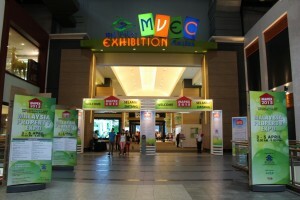 Held at the Mid Valley Exhibition Centre in KL from April 15-17, this year’s event will go the extra mile by focusing on products and services that represent attractive buys and attractive financing packages. Last year’s event showed that buyers were hungry for property options. With a history that spans almost two decades, MAPEX remains among the most popular housing expositions in the country, largely due to its ability to consistently draw in the largest number of participating developers and the widest selection of property types. This stems from Rehda’s capacity to leverage on its large membership of developers, many of whom are keen to promote their latest launches and their best deals to a large catchment of potential buyers. According to MAPEX organising chairman Datuk Ng Seing Liong, this translates into a smorgasbord of options served at a single venue, which also means a highly competitive environment where developers are vying for your attention. This is good news for those on the hunt for good bargains. 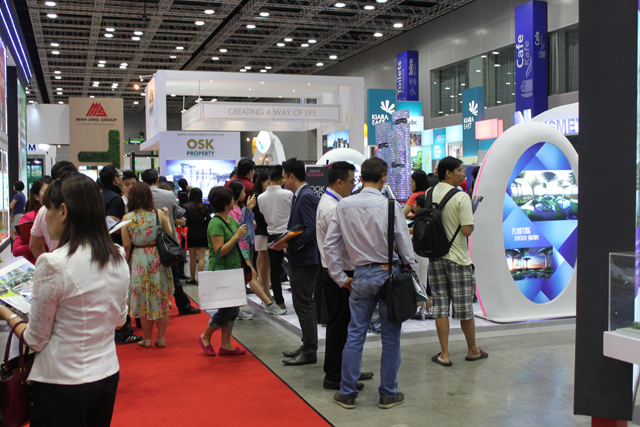 This year’s property expo is particularly relevant because it is sympathetic to the current market condition. Answering the call for better home buying solutions, MAPEX 2016 carries the theme ““Home Ownership through Smart Financing”. Not only will the expo feature a number of affordable housing options and a large contingent of participating banks, the event also promises to be information rich with presentations and workshops by industry specialists organised to help buyers make informed decisions. This weekend’s event is the first in a series of MAPEX 2016 exhibitions planned for the year and already it is off the mark with a bang. More than 80 developers, financial institutions and government agencies will hosting booths at the expo, with several developers showcasing their entire portfolio of latest projects and banks promoting their latest financing packages. “Mapex is also pleased to announce our collaboration with Rumah Mampu Milik Wilayah Persekutuan under the Ministry of Federal Territories and Rumah Selangorku under the Selangor Housing and Property Board which will be taking part to offer a variety of affordable homes under their respective banners. Also joining us is the 1Malaysia Civil Servants Housing (PPA1M) offering affordable housing for public civil servants. This is definitely an opportune time for purchasers looking for their dream homes to check out and get the best deal,” Ng said. Among the key development brands that will showcase their properties this weekend are EcoWorld Development Group Bhd, IJM Land Bhd, S P Setia Bhd, Ewein Zenith Sdn Bhd, Titijaya Land Bhd, Sunsuria Bhd, Seri Pajam Development Sdn Bhd, Matrix Concepts Holdings Bhd, Glomac Bhd, Syarikat Perumahan Negara Bhd and many others. Officiating the opening of Mapex 2016 will be Minister of Federal Territories Datuk Seri Utama Tengku Adnan bin Tengku Mansor, who will also promote the government’s affordable housing agenda. One of the most obvious missing elements in home expos of late has been the presence of financial institutions. A vital component to making a home purchase, this year’s Mapex will see them return to the fray to offer important financial advice and solutions. Ng said seven financial institutions will be joining Mapex 2016, namely Bank Islam Malaysia, Bank Simpanan Nasional, Hong Leong Bank, Maybank, Public Bank, Standard Chartered Bank as well as the Public Sector Home Financing Board under the Ministry of Finance. “We are pleased that these financial institutions have answered our calls to join us at Mapex and provide the much needed end-financing to home buyers, and we urge other financial institutions to do the same. Together we can help home purchasers and the industry especially in this trying time,” he said. If all of the above is not enough to entice you, then maybe RM30,000 worth of cash rebates will. Mapex 2016 will also be giving out special gifts for the first 500 visitors who present the [email protected] newspaper ad cuttings. The advertisements have been running in all major local newspapers since April 10.